Sometimes, it’s helpful to look back at our ancestors’ world and consider how times have changed. It can spark a sense of gratitude for our many blessings. It also can cause us to slow down and question why our lives have become so congested. Each time I watch Little House on the Prairie, I get these emotions — and more. 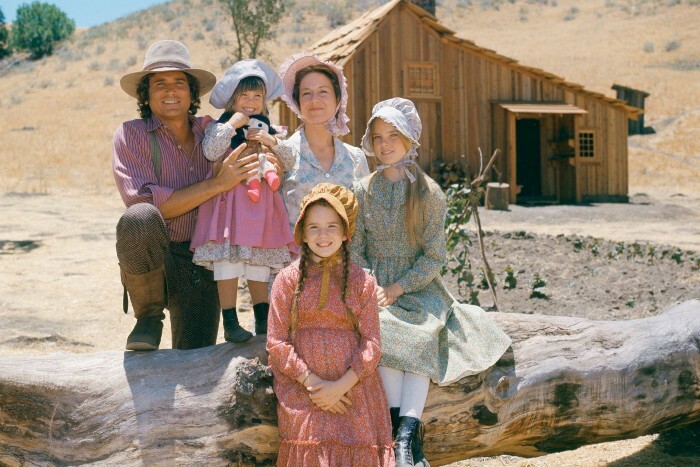 The Golden Globe-nominated series ran from 1974 to 1983 and tells the story of Charles and Caroline Ingalls and their children: Laura, Mary and Carrie. Set in the the town of Walnut Grove in the 1800s, the series follows this pioneer family as they fight for survival in a world void of supermarkets, cars and electricity. For modern-day children, it may be the next best thing to visiting a living history museum. All nine seasons of Little House on the Prairie begin streaming on Amazon Prime in March. 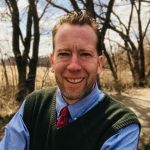 The series was based on the children’s books and exploits of the real-life Laura Ingalls Wilder, who was born in 1867 and lived in Walnut Grove, Minn., as a child. Some of the episodes include adult themes, but most contain lessons we all should learn. I Can Only Imagine (Amazon Prime, Hulu) — It shocked Hollywood observers in 2018 with a Top 5 opening, and it remains one of the best faith-based films of all time. The story follows the childhood and young adult years of Mercy Me’s Bart Millard, whose abusive father came to Christ. Rated PG for thematic elements including some violence. March 8. Nacho Libre (Amazon Prime, Hulu) — The same filmmaking team behind the 2004 cultural phenomenon Napoleon Dynamite was behind this movie, which tells the story of a monk who becomes a professional wrestler. It’s not as innocent as Dynamite, but it nevertheless has plenty of fans. Rated PG for some rough action and crude humor including dialogue. March 1. Disney’s Saving Mr. Banks (Netflix) — The real-life Walt Disney works to obtain the movie rights to P.L. Travers’ novel Mary Poppins. Rated PG-13 for thematic elements including some unsettling images. It contains minimal language and one unnecessary “GD.” March 1. Emma (Netflix) — A young woman named Emma Woodhouse enjoys the art of matchmaking but fails miserably at her own romantic relationships. Set in the early 1800s, it’s based on a Jane Austen novel. Rated PG for brief mild language. March 1. Disney’s Christopher Robin (Netflix) — A stressed-out and workaholic British father rediscovers the simple joys of life thanks to his old friends: Winnie, Eeyore, Tigger, Piglet and Roo. This one is OK for the whole family and has multiple life lessons. Rated PG for some action. March 5. Free Solo (Hulu) — A daring (and perhaps crazy?) rock climber sets a goal of scaling Yosemite’s El Capitan without a safety rope. It won an Oscar for Best Documentary. Rated PG-13 for brief strong language (including one f-word). March 13. Stuart Little (Netflix) — An American family adopts a teenage mouse as their son. A few mild curse words spoil what could have been a film appropriate for young children. Rated PG for brief language. March 1. Spy Kids 2: The Island of Lost Dreams (Netflix) — Carmen and Juni, the world’s most famous children spies, save their parents from the bad guys. Rated PG for action sequences and brief rude humor (the girl says “shiitake mushrooms” for effect). March 8. The Stinky & Dirty Show Season 2 (Amazon Prime) — The exploits of Stinky (a garbage truck) and Dirty (a backhoe loader) continue in the second season. My 3-year-old son enjoys this series. March 22. Astro Boy (Hulu) — A scientist living in the futuristic Metro City designs a robot to look like his deceased son. Unfortunately, the president of Metro City tries to recruit the robot to use for evil. Rated PG for some action and peril, and brief mild language. March 1.